If you are planning a trip to Bali to enjoy the ancient culture and beautiful beaches then we have all the information you need to know. 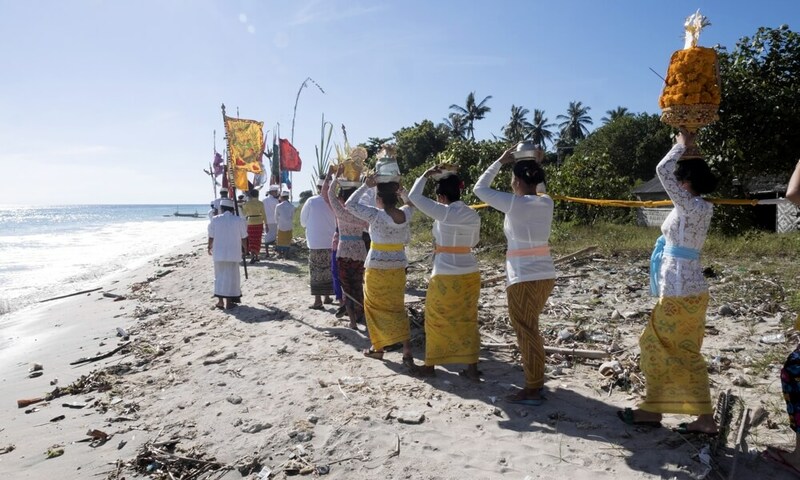 Most international visitors can get their Visa on arrival in Bali. It’s a relatively easy process and just requires you to to fill in the entry/exit card and customs declaration (usually given to you on the plane before landing). You will have to present your passport and your return air tickets back to your country. You will also be required to have a valid period before expiry of your passport of more than 6 months. 4. VISA ON ARRIVAL will be attached to your passport and all the documents you submitted will be returned. If you have concerns about the process you can of course apply for your Visa before arrival by visiting the nearest Indonesian Consulate/immigration Department. 1.Documents needed: your passport with a validity of over months and 2 blank pages at minimum, 2 recent red back-grounded colored photos, visa application form, copy of your ID card and your incumbency certificate. 2.The transaction time will be 5 workdays, the validity period will be 90 days and you are allowed to stay for no more than 30 days. The cost of the visa is 35USD for a duration of stay within 30 days. Being a tropical climate the temperature does not vary much from day to day. Its generally drier in April through October during which you can enjoy many fun outdoor activities. The best time to visit is June to September. 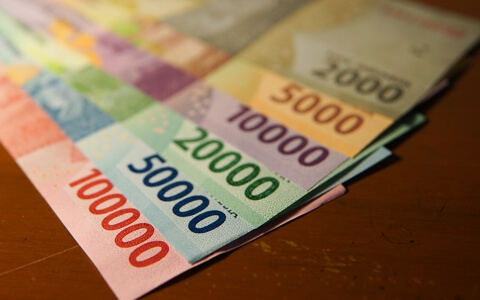 The main local currency in Bali is the Indonesian Rupiah. Many businesses in the travel and tourism industry will accept USD as well. For better exchange rates it is advised to change your money before you leave and use credit cards (with good exchange rates) where possible. 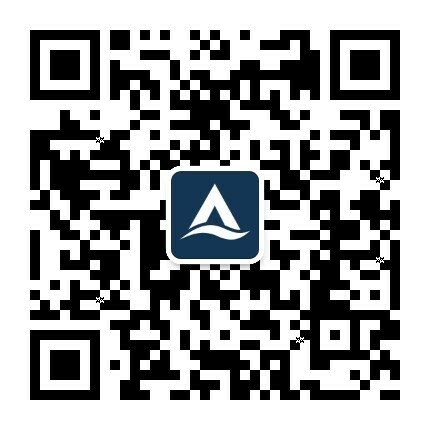 Exchange for Rupiah in China. 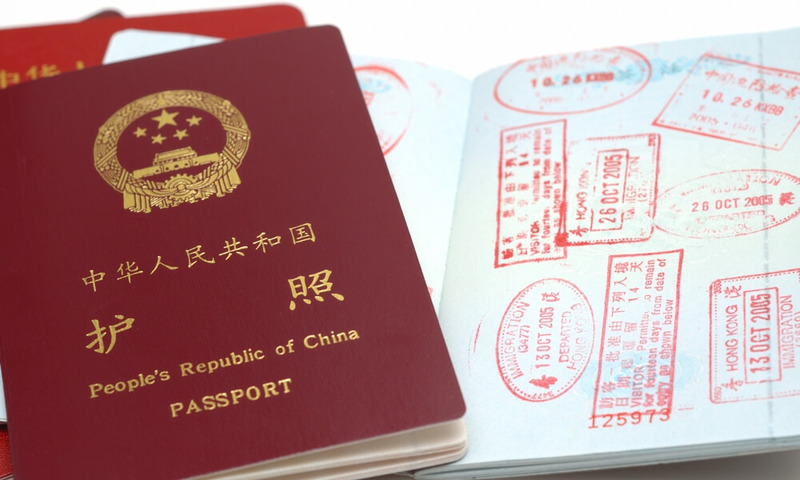 Most major banks (BOC, China Construction Bank) can exchange for you prior to your departure. You may want to carry a lot of cash but it is better advised to take some cash for the first Day or two and then get more rupiah from local exchanges or withdraw from and ATM using a debit card (or credit card). Union Pay is widely accepted in Indonesia. With some banks such as Hua Xia Bank the local BCA the first withdrawal each day is free of charge. You will have to cheque with you bank as well so you are prepared for all fees and charges. Since RMB is not commonly accepted in Indonesia you are better off to change your RMB to USD in China and then while in Bali use the local money exchanges to change USD to Rupiah. The rates are generally good but you should check around to get the best rate. A ‘No Commission’ sign may sound good but you will need to check the rates closely as an unfavorable exchange rate will have you paying a lot for the exchange anyway. Make sure you are using a formal and licensed money changer. If not you may be taken advantage of and even lose all your money. 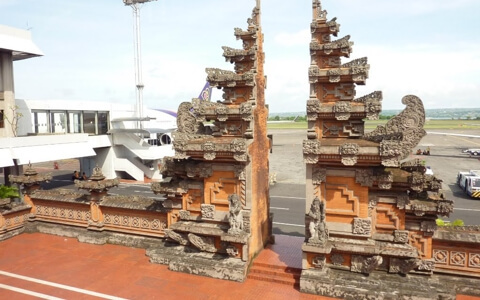 Bali Airport is located in Denpasar in the south of the island. The easiest and recommended option to get from the airport to your villa is to arrange an airport pick up prior to your departure. All our listed villa at Asia villas can arrange this service for you free of charge. Just let you booking agent know inadvance and ghive them your flight number, arrival time and number of passengers and they will arrange it for you. Other transportation services needed during you stay can be arranged through your booking agent or through the villa manager. If you don’t have an airport pick up you can take a taxi to you villa or hotel. The best option is to get a taxi at the taxi counter inside the airport where the prices are displayed to major destinations around the island. Taxis outside the airport may promise to be cheaper but can be dishonest. Most recommended are the Blue Bird Group Taxis where price is guaranteed. 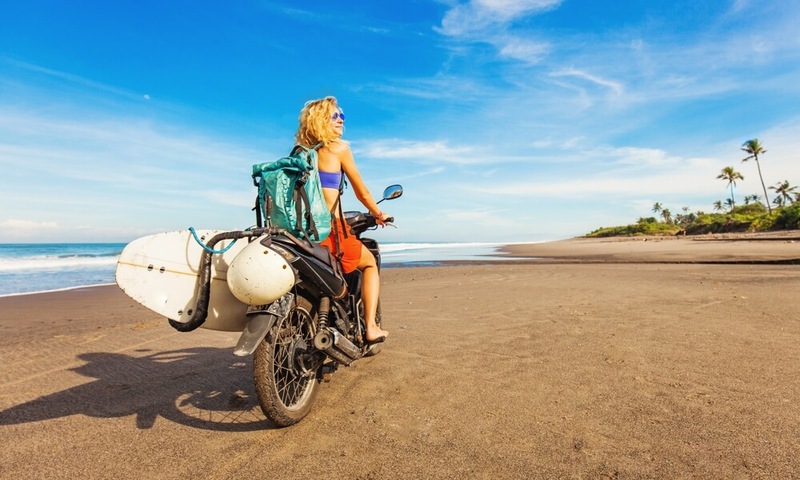 If you love the wind in your hair and the freedom to of a motorbike then you can rent them cheap. Generally prices start at 100,000 rupiah per day depending on the size and quality of the bike. To rent you will to provide your passport, which they will keep as security. Be careful – the roads are not all great and the traffic can be dangerous – always were a helmet and never drive drunk. Asia Villas concierge service or your villa manager can arrange a minibus to take your group sightseeing. With own driver you can choose where you want to go and time is flexible so you can really enjoy the best places. Minibus usually takes around 7-8 persons so the cost ban be quite effective for a group this size. They are comfortable as well. 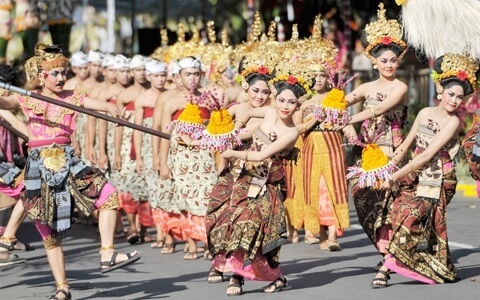 Indonesia's official language is Indonesian, BAHASA, however the island of Bali has its own spoken dialect. 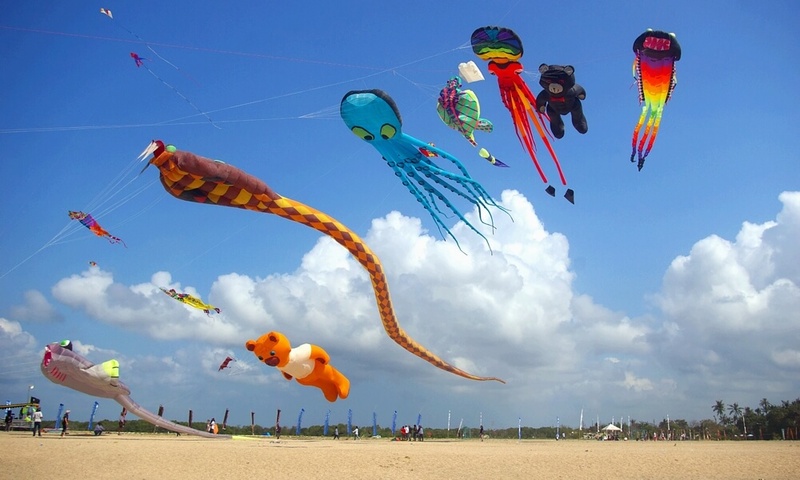 Bali has been a famous tourist resort for a may years and so English is very widely spoken. Furthermore, the number of Japan and Taiwan tourists has been on the rise in recent years, which also makes Japanese and Chinese languages more popular. And don’t worry about languages if you only speak Chinese. Our concierge service will be on call to help you should you have any language and communication issues. 1. Many religions are practiced in Indonesian with the main religion is Islam. 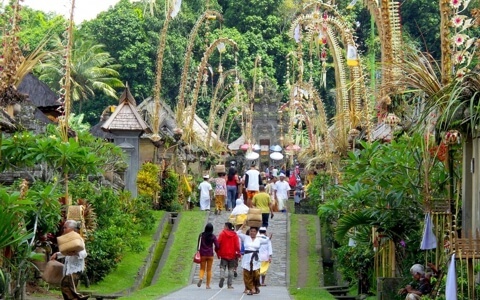 In Bali however, the major religions are Hinduism and Buddhism. Note that local people often put religious offerings outside their doors near the street. Please be careful not to disturb them and the offerings. 3.Non-Hindus are forbidden to enter the interior of the temple. 4. It is extremely impolite to stand in front of people when they are praying so pleasec be aware of your surroundings and other people. 5.When you visit a local Balinese home remember to always take of your shoes. 6. Indonesians who meet strangers for the first time usually exchange business cards, and generally shake hands using the right hand. (traditionally locals use the left hand for the bathroom). Also don’t touch peoples head, especially a children’s. 7. If you want to take a picture of a local person always ask permission as a sign of respect. They may well ask you to pay for the photo so if you ask first you can avoid any disputes.